When exploring the topic of physician-assisted death there is a fine balance between protecting the right and dignity of individuals who wish to make this choice, and safeguarding individuals who may be vulnerable in our society. In February 2015, Canada’s Supreme Court made a monumental ruling: that Canadians have the right to physician-assisted death. The New Brunswick Association for Community Living, and its national counterpart, the Canadian Association for Community Living (CACL) have been highly involved in this issue, in the hopes of ensuring that any laws adopted related to physician-assisted death will reflect the needs of individuals with an intellectual disability and their families. What does the Supreme Court ruling say, or not say? The Supreme Court ruling states that physician-assisted death will be legal for “a competent adult person who (1) clearly consents to the termination of life and (2) has a grievous and irremediable medical condition (including an illness, disease or disability) that causes enduring suffering that is intolerable to the individual in the circumstances of his or her condition”. The ruling does not state that a terminal illness must be present. The ruling also does not provide an explanation of what is considered a “grievous and irremediable medical condition” or how decision makers should determine whether the condition is causing “enduring suffering that is intolerable”. 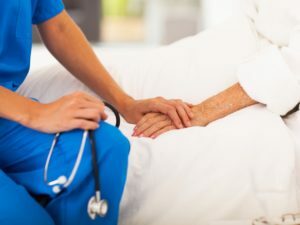 Because the Supreme Court decision is broad, the responsibility has now been passed to Canada’s provincial and federal governments to create legislation surrounding physician-assisted death, including who will qualify and the process for approval. Government was initially given one year from the time of the ruling to put legislation in place. The federal government has requested a 6 month extension to provide more time to develop laws and policies. The Supreme Court is considering this request. Why does a disability perspective matter? Physician-assisted death is a topic that affects all Canadians, however, for many Canadians with a disability and their families it raises many questions and concerns. Historically, individuals with disabilities have been devalued by society. As a result of limitations or a need for additional support, individuals with disabilities have not been viewed as being equally important and valuable as other citizens. In addition, individuals with a disability often live in poverty, experience barriers to accessing healthcare or disability supports, and are at an increased risk of experiencing abuse. When exploring the topic of physician-assisted death there is a fine balance between protecting the right and dignity of individuals who wish to make this choice, and safeguarding individuals who may be vulnerable in our society. In order to ensure real choice for all Canadians, it is necessary that the factors mentioned above – devaluation, poverty, access to supports and services, and safety, are addressed. For those individuals with a terminal illness, access to appropriate end of life care in also crucial. If these factors are not addressed, there is the risk that individuals with a disability may choose physician-assisted death in situations that could be preventable. In its 2015 decision, the Supreme Court clearly acknowledged that there are risks associated with legalizing physician assisted dying and that these risks “can be limited through a carefully designed and monitored system of safeguards”. What is NBACL doing related to Physician-Assisted death? The system for physician-assisted death needs to include ways to assess vulnerability as a key factor in independent choice. This assessment should consider factors such as poverty, lack of needed care and support, social isolation, abuse, feelings of being a burden on others and encouragement from others to choose physician-assisted death. When these factors exist, physician-assisted death should not be the first option, even if requested. As part of the informed consent process, there should be an exploration of alternate options, and opportunities to check that the individual is not being pressured into making a decision. There should be a qualified assessor responsible for helping individuals to explore alternatives and pursue options. Due to the nature of the decision, individuals pursuing physician-assisted death should be able to make legal decisions independently. As part of a strong system of safeguards, decisions to permit physician-assisted death should be reviewed and approved by an independent group or committee before the procedure is carried out. Physicians should be responsible for determining whether an individual has the capacity to make their own decisions (and whether the person has a “grievous and irremediable” condition that is causing intolerable suffering), and with the help of a qualified assessor, determine whether there is evidence that the individual is vulnerable or being pressured to choose physician-assisted death. This independent committee should review the information provided by the physician and qualified assessor to ensure that the person meets the criteria for accessing physician assisted dying and that appropriate steps have been taken to protect vulnerable citizens and that alternatives have been explored. Information and statistics about physician-assisted death should be reported and monitored to ensure that the system is appropriately providing safeguards while ensuring real choice and dignity. The introduction of physician-assisted death must not replace appropriate access to palliative care services or disability supports. With Canada’s aging population, a growing number of citizens will require access to these services and supports. Governments must make the political and fiscal decision to invest in these supports and services to ensure that Canadians have real choice. In addition, NBACL continues to meet with key stakeholders to address concerns about ensuring Canada’s system for physician-assisted death will include appropriate safeguards. To join the conversation about physician-assisted death and the need for appropriate safeguards, individual and families are encouraged to contact their federal MP or provincial MLA.